Acceptable eating styles vary from continent to continent. But regardless of location, the only proper way to cut and eat one’s food is to hold the knife and fork in a relaxed, natural manner, never with a forced fists spearing food like a mad hunter. When seated, unfold the napkin and place across your lap. If bread rolls are served, break the bread between your fingers rather than cut it. Do not slather butter on both sides of the roll, tear small pieces of bread and butter individually. In American society, it is perfectly acceptable to cut one’s food using a knife and fork as usual and then to transfer the fork to the right hand to then “spear” it before eating. The golden rule is always work from the outside in for your cutlery and tableware. Use the outside knife and fork for the first course, and them simply work inwards for each course. Knives are always to your right and forks are always to your left. 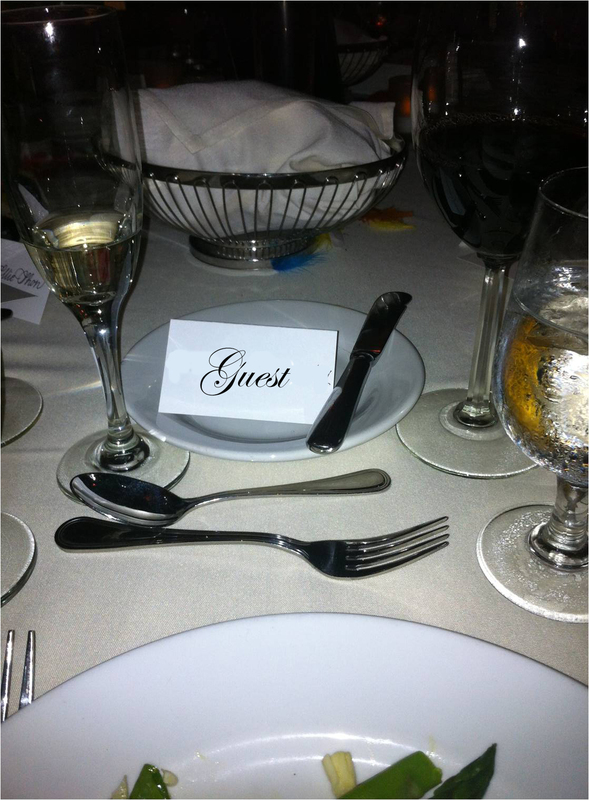 This entry was posted in Dining Etiquette, Protocol and Etiquette, Tip of the Day and tagged bread & butter, dinner rules, glassware, silverware, simple rules, table setting etiquette. Bookmark the permalink.